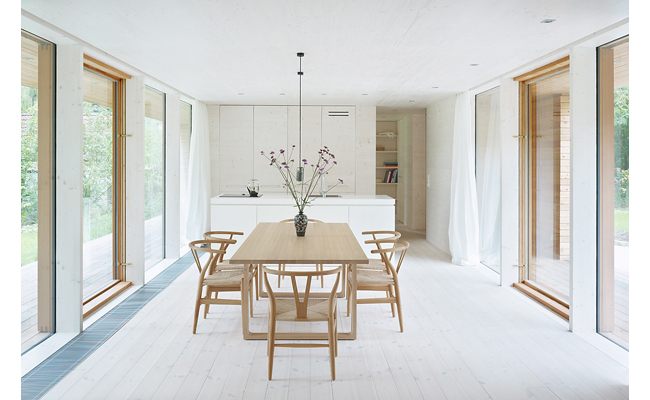 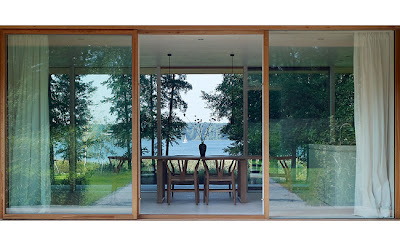 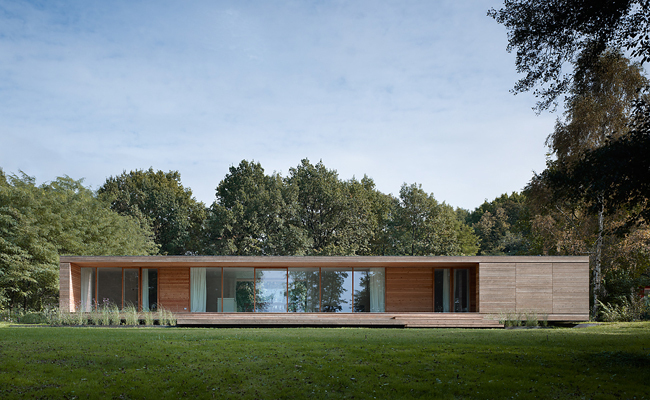 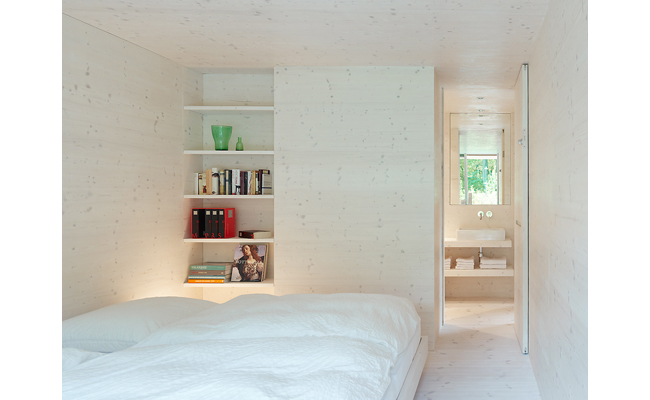 This weekend / Summerhouse on Lake Scharmützel was recently awarded the German Timber Construction Award. 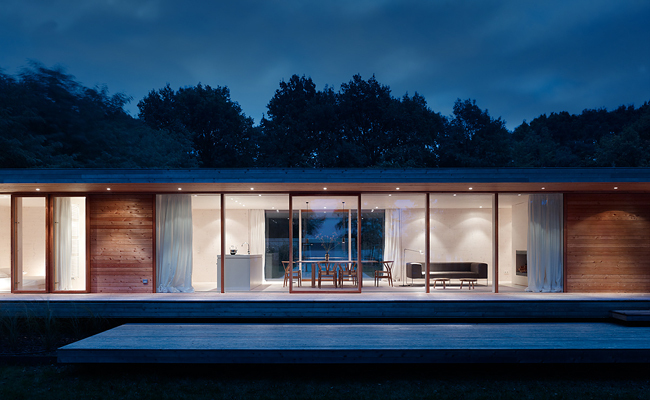 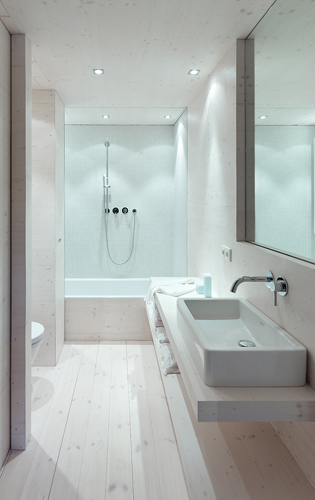 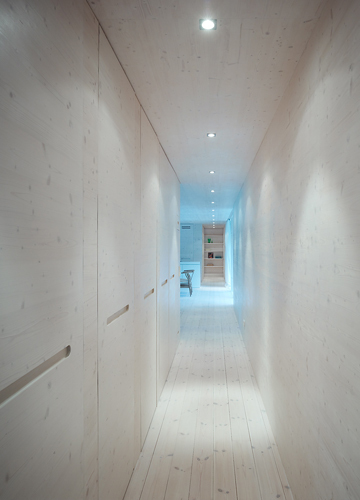 Architect Doris Schäffler designed the retreat to provide maximum contrast to the owners downtown Berlin urban life. 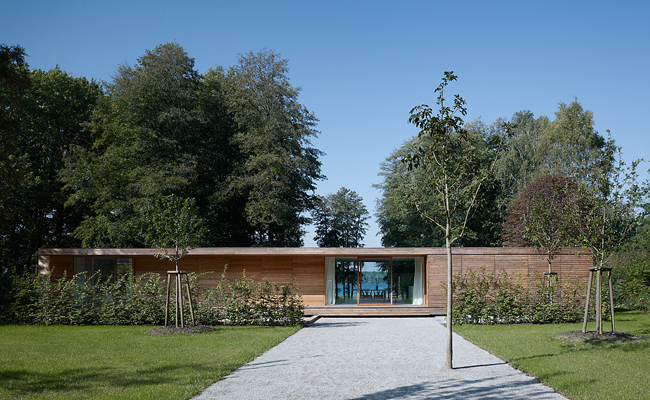 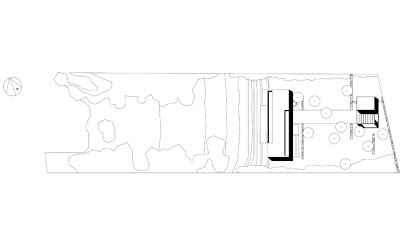 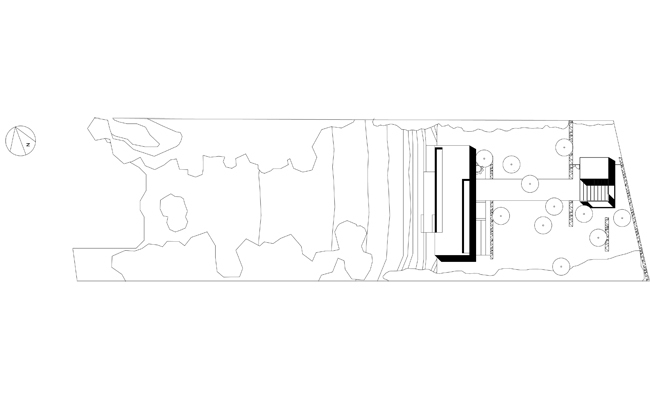 "The result is a simple refuge that interacts harmoniously with the surrounding landscape"